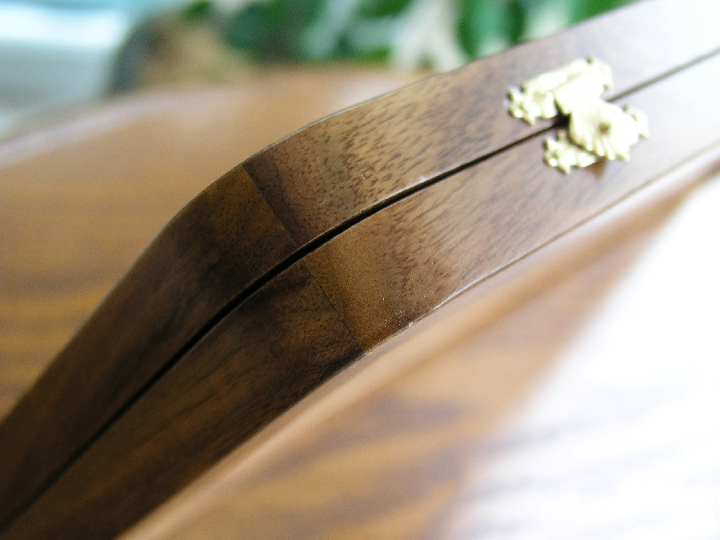 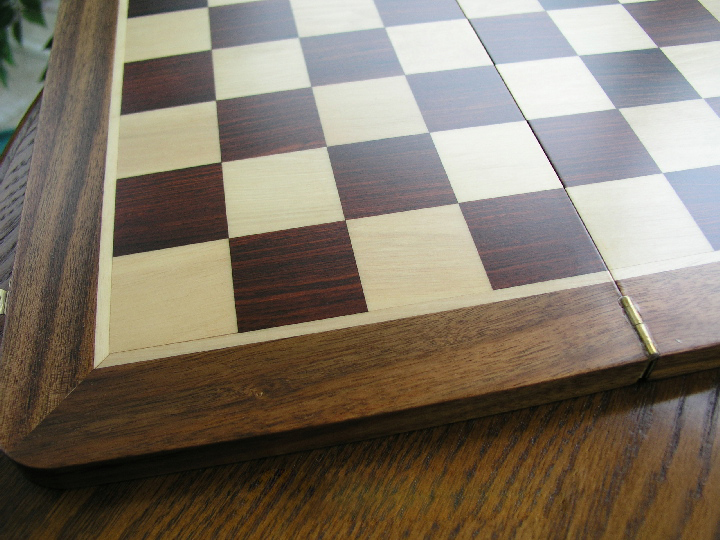 This product from Chess Baron: Please note that this product is genuine sheesham wood, NOT veneer. 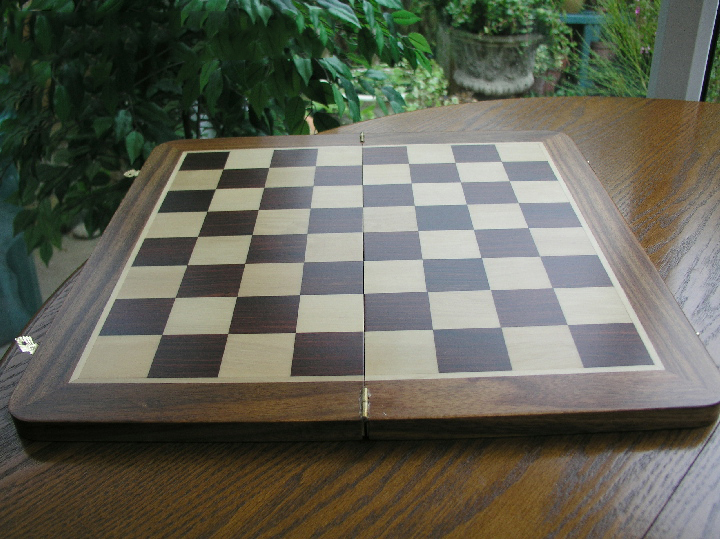 Its a fine example of genuine wood chess boards. 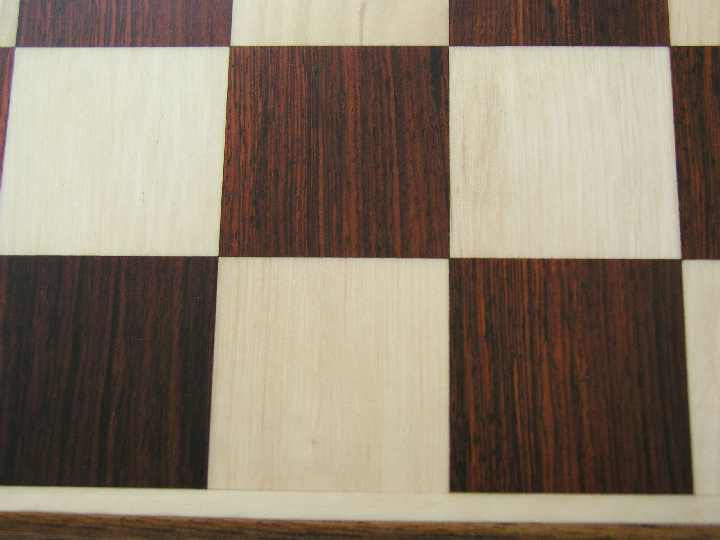 It has 1.5 inch squares and is rustic in nature. 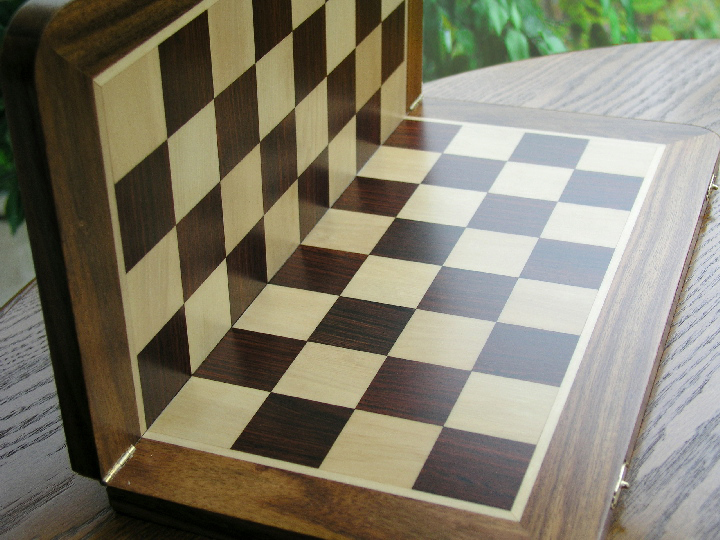 The convenience of folding the chess board doesn't have to detract from the quality and doesn't do so with this chess board. 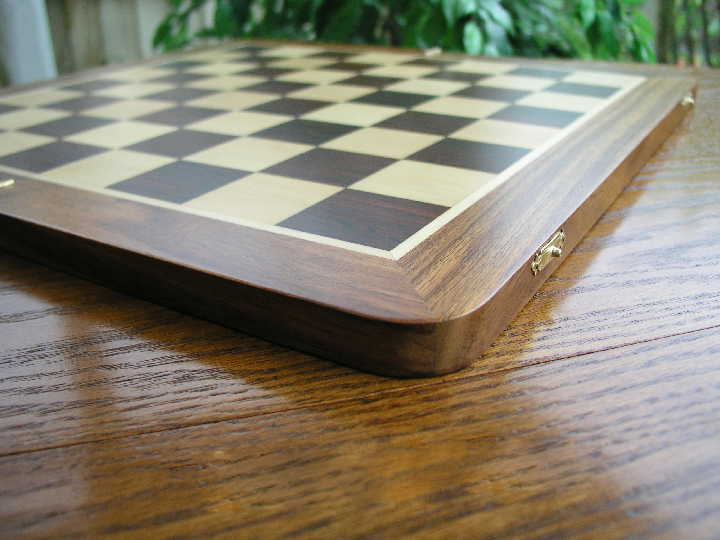 The board is well designed and has a high quality feel about it that will suit many of our excellent chess sets. 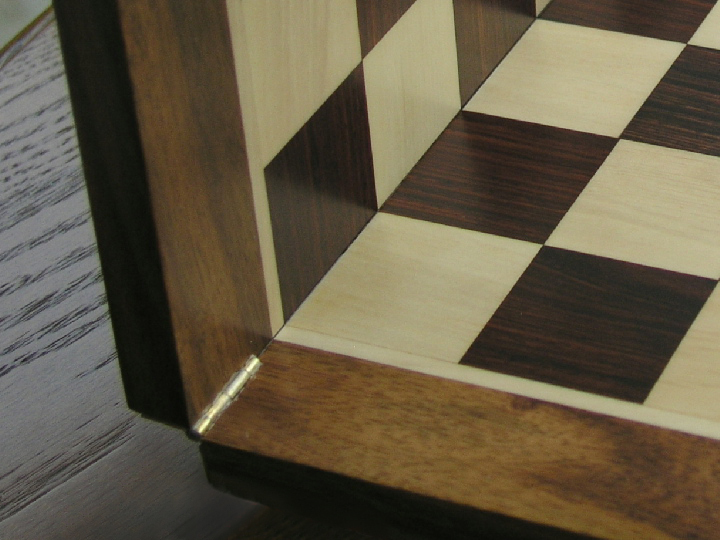 We compete with companies that sell veneered products - this is not a veneer chess board, it is solid sheesham and is very heavy. 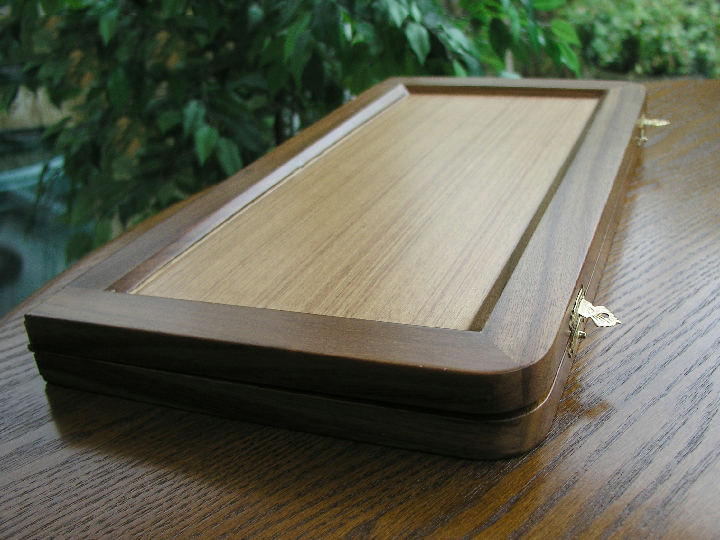 Folded size 14 inch x 7 inch. 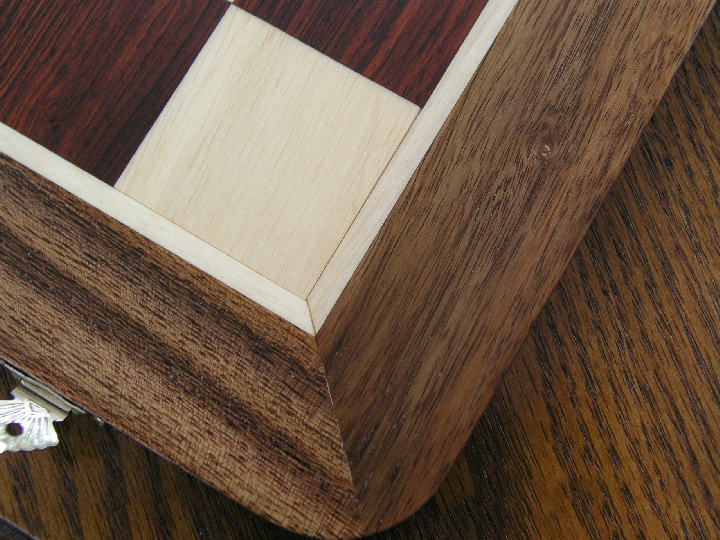 1.5 inch squares. 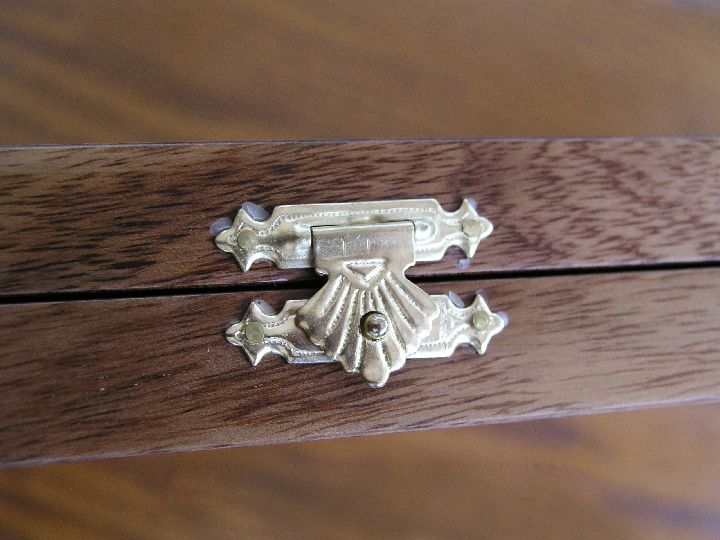 Weight 1.1kg (2 lb 5 oz).